Even though it is March, Spring seems a long way off! No matter, the show season is here and we will be attending Large Scale Model Rail this weekend and the National Garden Railway Show in April – we look forward to seeing you at one or the other or both! The ‘E’ Vans have landed! We are delighted to say that the ‘E’ Vans have arrived and been sent to our dealers. 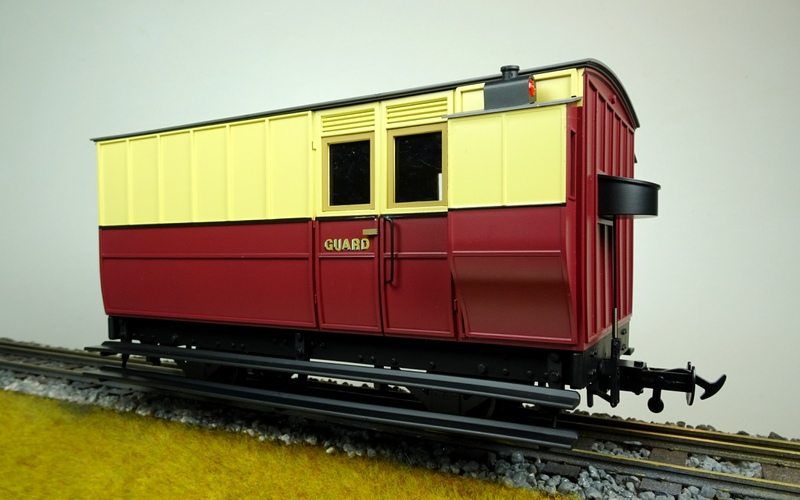 The ‘E’ vans were four-wheeled brake and luggage vans fitted with lookout duckets, but otherwise entirely sealed with only two drop-sash windows at the guard’s door. None of these vans survive today, and they were effectively made redundant when later passenger coaches had their own braking systems. The Manx Northern Railway owned a pair of similar vans for use with the ‘N’ class carriages, but these seem to have been replaced in the 1890s and then used for goods traffic until they were scrapped in the 1920. The roof is removable if required for customers to install their own interior detail, for example, or lighting. An additional set of 32mm wheels is also provided. Although the models are 1:20.3 scale they look well with 1:19 scale equipment and are probably larger than the equivalent scale models of Talyllyn coaches! You can see full details and more images here. UK RRP £80.00. These superb, long-awaited hopper wagons are now available, ideal companions to your Allegheny! Available in both Chesapeake & Ohio or Virginian livery (plain black or red oxide to follow), the wagons can be bought singly or in packs of six. UK RRP for individual cars £120.00 or a six pack at £660.00 including UK delivery and warranty. Call our Hereford office to order some now!